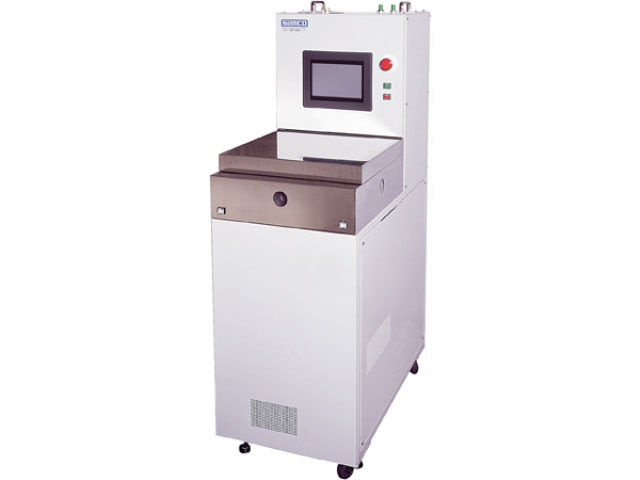 RIE-10NR is a low-cost, high-performance, fully automatic, dry etching system that meets the most demanding process requirements using fluorine chemistry. A computerized touch panel provides user-friendly interface for parameter control and recipe storage. Etching is performed with minimum sidewall deterioration and a high selectivity between materials. With its sleek, compact design, the RIE-10NR system requires minimal clean room space.